For those clients that are not using insurance and are paying “out of pocket” we charge, $200 for the initial session, $175 for a 60-minute session, and $135 for a 45-minute session. We are participating providers in many more networks. If you do not see the name of your insurance company listed above, call us and we will let you know! If I want to use my insurance, how much will I have to pay? It depends. Each individual policy varies from client to client. As a courtesy to all our clients we will call your insurance company and verify your benefits prior to your initial session. This way, you will know ahead of time what you will be paying per session, and reduce the likelihood of any surprises down the road! We also encourage all our clients to familiarize themselves with their benefits, by calling the member services number on the back of their insurance card. Do you offer a discount for those clients that are un-insured or under-insured? Yes. We offer a sliding scale fee for those clients that have an annual household income of less than $40,000 a year. A further discount may apply for those clients that also have dependents residing within the household. At Polaris, we understand that counseling can be very expensive without insurance and we take pride in working with our clients to find a fee that is manageable and acceptable to both parties. Do you offer any payment plan options? Yes. Those clients that have a large deductible or who are paying “out of pocket” are considered on a case by case basis. A payment plan would consist of determining an amount that you could afford to pay on a weekly basis and then paying the remainder of the total fee in weekly, bi-weekly or monthly installments either upon paying down the deductible on your policy or upon the completion of treatment. We do not accept any form of public aid or Medicare at this time. Our clients are asked to make payment at the time of service. Yes. We accept VISA, Mastercard, American Express and Discover. You can also pay via check or cash if you choose. Each session is 45-50 minutes. Do you have evening and weekend session available? Yes. We have daytime, evening and weekend sessions available. No. At Polaris, we understand that when you call to make an session you are most likely in crisis and in need of immediate support. We make every effort to ensure that any new client is able to schedule an session with one of our counselors within a week of their initial contact with us. What should we expect from counseling? The counseling process is different for every client. Some clients have been struggling with mental health issues all their lives and are looking for long-term support, others have gone through a particularly stressful or traumatic life event and are looking for short-term strategies to help them manage their grief, anxiety or depression. Others may be struggling with day to day issues at work or in their relationships and may need to vent, get guidance and direction or just have someone listen, validate and empathize with their situation. Every client brings their own unique set of concerns, issues and personality to the counseling process and as a result it can be difficult to define exactly how treatment will look for you. However, at Polaris Counseling, we take great pride in making our clients feel comfortable and welcome. We understand how intimidating it can be to take the first step in coming in to counseling, and as a result you can expect your counselor to be friendly, non-judgmental, and be genuinely invested in your progress through treatment. Although every counselor will have a different approach to working with their clients, you can also expect that your counselor will spend as much time as it takes to fully understand the issues and concerns that you bring to counseling, will collaborate with you to determine clear goals for treatment and will work hard, in a passionate, caring manner, to help you achieve those goals. How do I choose a counselor that is right for me? A good question… and another tough one to answer! All our counselors at Polaris Counseling are qualified and experienced in the clinical areas outlined in the site. In some cases, our counselors have ‘areas of expertise’ or have certain areas that they specialize in, or are particularly passionate about. However, matching personalities for ‘best fit’ between the counselor and client is not an easy task to accomplish. We encourage you to take a look at our counselor biographies to get a sense of each of our counselor’s unique personal and professional attributes. It is important to keep in mind that the majority of clients are assigned to a counselor based on the availability and schedules of both parties. So it is possible that after finding your counselor of choice, he or she may not have any openings at the time you want to come in, or your schedules don’t match up well! Don’t panic! You will find, that not only are all our counselors experienced and qualified to help, but they are all equally as personable, professional and passionate about working with you! Due to the individualized nature of counseling for each client, it is almost impossible to predict how long treatment will take for you specifically. The course of treatment largely depends on the kinds of issues and concerns that are being addressed, and the level of motivation and commitment that the client brings to the counseling process. We have had clients that have successfully navigated their way through treatment in six weeks and those that have been with us for several years. Once you have had an opportunity to meet with your counselor a few times and your counselor has a good understanding of the clinical issues that need to be addressed, you will collaborate in developing a realistic time frame in which to complete treatment. How often should we meet? Again, this depends on the kind of issues that need to be addressed. We typically ask that clients come in, at the very least, once a week to start. As you begin to make significant progress towards your goals and you start to feel more empowered and confident in your ability to more effectively manage the problems that brought you into treatment, we can start to transition you to every other week and eventually once a month before you transition out of treatment altogether. Each one of our counselors at Polaris Counseling is educated at the Masters level and is fully licensed. We utilize a variety of different treatment modalities and theoretical orientations in working with our clients. At Polaris, we understand that one approach does not effectively address the needs of every individual, situation and problem. That is why our counselors are trained in a variety of different clinical approaches to treatment that allow them to tailor their approach to the specific, unique needs of our clients. These include, but are not limited too; Cognitive Behavioral Therapy (CBT), Cognitive Therapy, Behavioral Therapy, Emotionally Focused Therapy (EFT), Solution Focused Therapy (SFT), Experiential Therapy, Brief Therapy, Family Systems, and Structural Family Therapy. Is everything that we discuss in treatment kept confidential? As licensed counselors we subscribe to a Code of Ethics and Standards of Practice which require us to protect the confidentiality of communications with our clients. In addition to this, we are also required by federal law, the Health Insurance Portability and Accountability Act of 1996 (HIPAA), to keep all your protected healthcare information (PHI) private and confidential. There are, however, a limited number of situations in which we are required to release your PHI without your consent. The Illinois Notice Form will detail specifically those situations that your PHI can be released both with and without your consent. There is currently no mental health organization that accredits private counseling practices. However, we are a fully accredited business through the Better Business Bureau (BBB) with an “A” rating! Feel free to click on the BBB seal at the bottom of our home page for a detailed report. 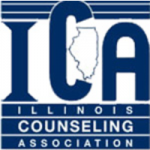 We are also a member of the American Counseling Association (ACA), Illinois Counseling Association (ICA), and the Naperville Area Chamber of Commerce (NACC). What does Polaris stand for? Polaris is the current North Star and the brightest star in its constellation. It symbolizes hope, reliability, guidance and direction. These are all powerful messages that we wish to convey to our clients, both at the onset of treatment, and throughout the counseling process! Sometimes that first session can be difficult. This is why Polaris Counseling does its best to prepare you for this difficult but important step. The best place to start is with the checklist at the top of this page in the right sidebar. It will guide you into your first session as pain-free as possible!